This annual award, created in 1963 through a gift by Mary Lowery Schafhirt, is given for the best essay on a medical subject of current public interest. This award, presented annually, recognizes a graduating student who has demonstrated clinical excellence and compassion in the delivery of care and who has shown respect for patients, their families, and health care colleagues. This annual award, given to a member of the graduating class, recognizes outstanding ability in the clinical aspects of orthopedic surgery. Established in honor of the late William Newman, M.D., a distinguished surgical pathologist, this eponymous award is given every year to a graduating medical student who has demonstrated great aptitude and interest in the field of pathology. This award, presented in honor of Hope Jackson, M.D. 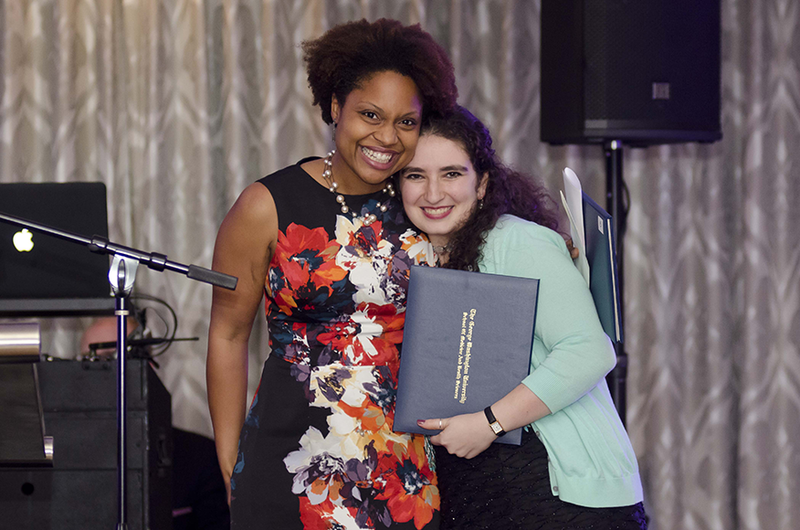 ’09, RESD ’16, CERT ’14, is presented to the graduating medical student who exemplifies Jackson’s character, particularly her humility, compassion, exceptional patient-centered care, and devotion to mentoring other students and residents. Students Take Advantage of the "Last Summer"